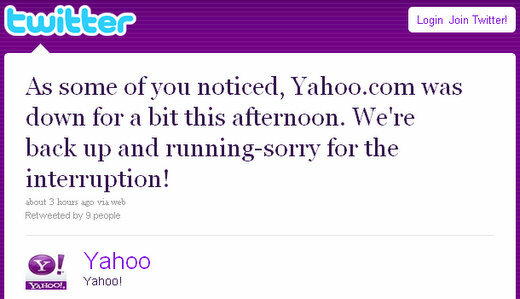 Perhaps it was because Yahoo is now the second most visited website for videos, or maybe because of some new Facebook integration – whatever it may be, Yahoo’s homepage and the Yahoo.com mail servers all went down today for around 5:20 PM EST. The outage lasted approximately 40 minutes. Yahoo’s homepage displayed the plain text message “Server Hangup” in web browsers all over the world.